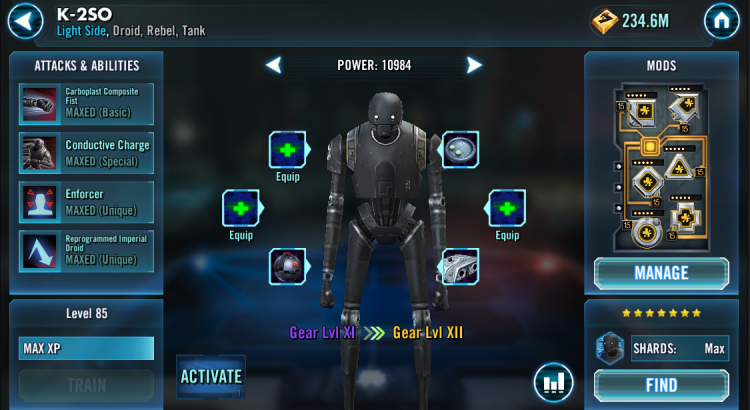 In partnership with Google, Android users have been receiving a free three star Character – K-2SO – in celebration of ROGUE ONE: A Star Wars Story! This is a limited time, Google promotion, so it only applies to Android players. The dark side is rising…. Get your Rebel squad ready for the EMPEROR’S DEMISE event! Join the battle and Seven Star the infamous leader of the Galactic Senate, Emperor Palpatine. We’ll have further details and dates for you soon.